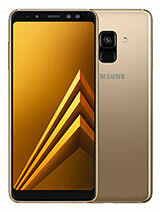 According to test reports filed with the Federal Communications Commission (FCC), the Samsung Galaxy A8 model number A3LSMA530F list the Specific Absorption Rate (SAR) values for the Samsung Galaxy A8 as 0.26 watts per kilogram (w/kg) at your head, and 0.76 w/kg when worn on your body. The Samsung Galaxy A8 hotspot SAR is 0.98 w/kg. The SAR for simultaneous transmission (cellular plus Wi-Fi) for the Samsung Galaxy A8 is 0.76 w/kg at your head, 1.17 w/kg when worn on the body, and 1.54 w/kg when used as a hotspot simultaneously with all other transmitters active. All SAR levels reported to the FCC are averaged over one gram of body tissue corresponding to the maximum allowable level of 1.6 w/kg. The SAR levels will vary depending upon your specific cell phone carrier (e.g., AT&T, Sprint, T-Mobile, or Verizon). The minimum separation distance for head and body-worn testing was 5 mm. That means the phone should never be closer than 5mm to your body when in use. Colors Display Colors is refers to the number of different shades of colors that the screen is capable of displaying => 64K colors, 256K colors and 16 million colors, Obviously 16M is highest available range of colors and better than others.